Spoken word is one of the UK’s fastest-growing artforms, and the Roundhouse is fast becoming one of the biggest names on the London scene. In 2008, we launched our first-ever Poetry Slam. 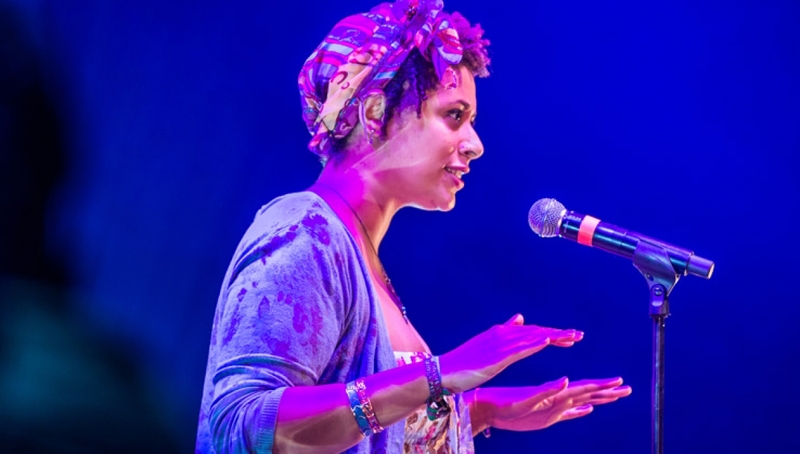 Now five years old, the Slam is an annual chance for poets aged 16-25 to go head to head in front of a live audience and an expert panel in a tussle for the title of Roundhouse Poetry Slam Champion. The Slam’s success led to the setup of the Roundhouse Poetry Collective – a year-long programme for 16-25 year-olds to develop their writing and performance skills, both individually and as a collective, led by acclaimed poet, Bohdan Piasecki. Members perform regularly at the Roundhouse and at across the UK, and graduates have gone on to form associate collectives Rubix, Elephant and Early Doors. The programme is still growing. New projects include Talking Doorsteps – challenging young poets to put their words on film in online shorts about hidden locations – and the Spoken Word Ensemble, which brings a group of young artists together to create work that bridges the gap between spoken word and theatre. Through this work, we’ve been lucky enough to collaborate with some of the biggest spoken word talent out there – not just with Bohdan Piasecki, but also Inua Ellams, Dan Cockrill, Kat Francois and Kate Tempest, to name but a few – leading to several major spoken word co-productions including Polar Bear’s Return and Old Me, and Kate Tempest’s Wasted. And it hasn’t stopped there. We recently launched our first ever spoken word festival, The Last Word, including work from some established names and brand new commissions created by some of the best emerging talent, including a few of our very own poetry collective graduates.